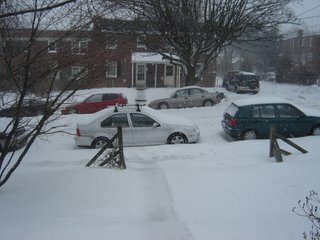 The Jetta and Golf are parked for the day, cause even the snow plow was stuck on our street. 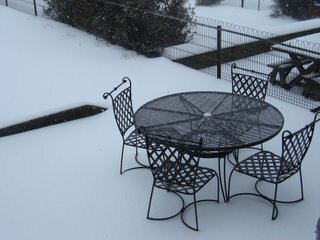 The legs of the chairs have disappeared! 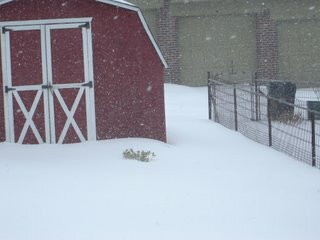 Yep, it's blowing and snowing!